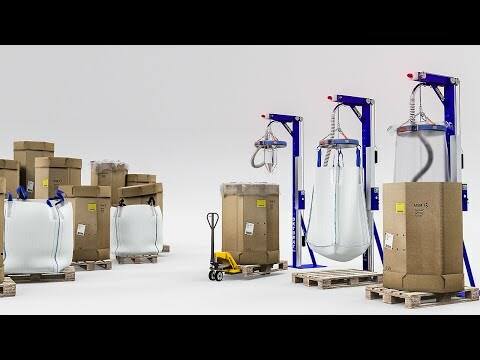 OKTOMAT(R) ECO is an emptying station for the automatic emptying of Octabin and BigBags. A pallet jack is enough to move the container under the emptying station. The bulk bags can be completely and trouble-free emptied from above. The OKTOMAT(R) uses a vibrating suction head and the automatic bag tightening mechanism pulls the foil inlet or BigBag upwards. The material flows towards the middle and is continuously sucked. The ECO series is the basic model of the OKTOMAT(R) emptying stations and is ideally suited for the majority of applications dealing with free-flowing to poorly flowable materials. OKTOMAT(R) emptying stations are easy to use, low maintenance, robust and durable. Due to its pedestal form, the ECO is particularly space-saving in width, the height is individually adjustable. 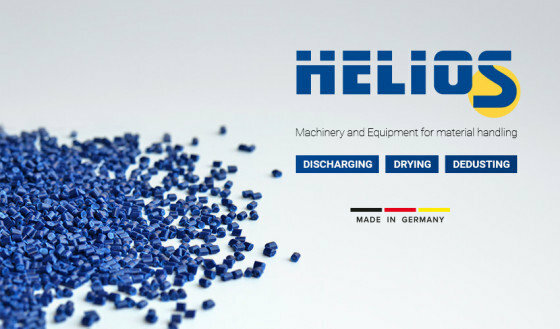 HELIOS is specialized in the development, production and marketing of equipment for material handling in the plastics industry worldwide - starting from raw material production and compounding up to resins processing. The product range begins from industrial dischargers for Octabin and BigBags going on to pneumatic conveyors and dedusters up to plastic resin dryers as top-mounted dryer, stand-alone dryer and batch dryer station.